If you are a seasoned gamer, then you are most likely familiar with both of the above names. In the case that you’re not: Maxnomic and DXRacer are big gaming chair brands, although the latter sells a variety of other products as well. In this article, we will briefly introduce both of these brands and then compare their pros and cons in order to determine which of these two can offer a better and more immersive experience to avid gamers around the world. 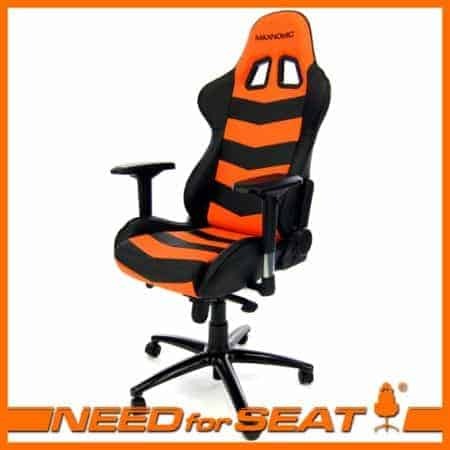 These gaming chairs are made by NeedForSeat, a company based in Ohio, USA, which also sells a variety of related accessories and their own unique SeatQuake system. On top of the abovementioned categories, they also offer special edition and OSU edition chairs. 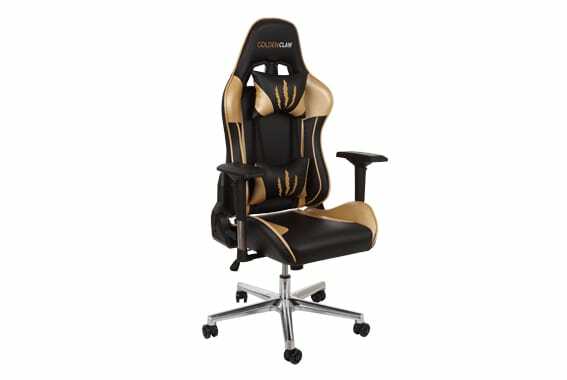 DXRacer is also a US-based company, headquartered in Michigan but operating in California as well. They are arguably the more popular company of the two and are definitely the more versatile one. Their inventory includes gaming desks, regular office chairs, backpacks, accessories and more. DXRacer also offers a large number of gaming chairs that promote certain video games and gaming events. In this section, we will be comparing the two brands step by step according to different features and criteria. The price ranges for both of these brands are quite similar. DXRacer gaming chairs go from $239 to $599, while Maxnomic chairs start a bit higher at $329 and go as high as $589. As you can see, the differences in pricing are mostly negligible, unless you’re looking for the cheapest possible solution. Should that be the case, DXRacer is the obvious choice. Both brands offer customers a wide selection of gaming chairs to choose from. 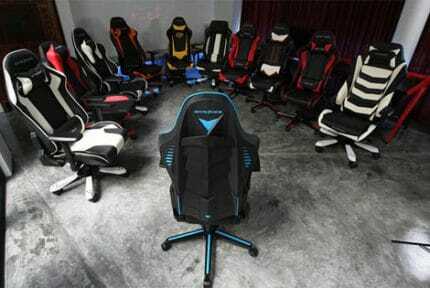 However, DXRacer has the lead in this regard, seeing as they not only offer a greater number of models but also allow customers to pick between wide range of color schemes for said models. What’s more, DXRacer also offers more Special Edition models than Maxnomic does. When it comes to personalizing your gaming chair, both of these brands allow customers to get their name embroidered on the chair’s headrest. As for accessories, DXRacer has the upper hand once again. Whereas Maxnomic accessories come down merely to additional cushioning and replacement parts, DXRacer also offers a footrest as well as several mouse pads, one of which can be mounted on the armrest of certain models. In this regard, it is hard to select the exact winner. Both brands offer many models with ergonomic design, comfortable cushioning and lumbar support. That said, any minor differences in overall comfort would stem from personal preferences. 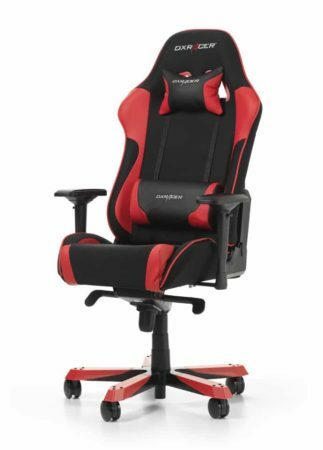 So, which gaming chair brand is the better one? Ultimately, it’s hard to say. 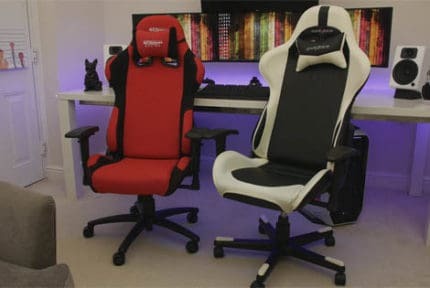 They both have roughly the same number of total chair models, similar pricing, and all their products are of the highest quality. DXRacer, however, has a slight advantage in two key categories: their prices start lower and they have more numerous special edition chairs . Therefore, people who are on a tighter budget and those who have a taste for any of the products/companies/events marketed by special edition DXRacer gaming chairs will definitely find DXRacer to be more appealing. DXRacer vs AKRacing - Which Gaming Chair Is Better?